Gigaset Dune CL540: “bionic“ is the name that Gigaset has for the design of the elegant cover of the new cordless phone. The finely worked S-form, handsome materials and elegant details such as the copper-coloured navigation button and the concave earpiece allow long phone calls without fatigue. 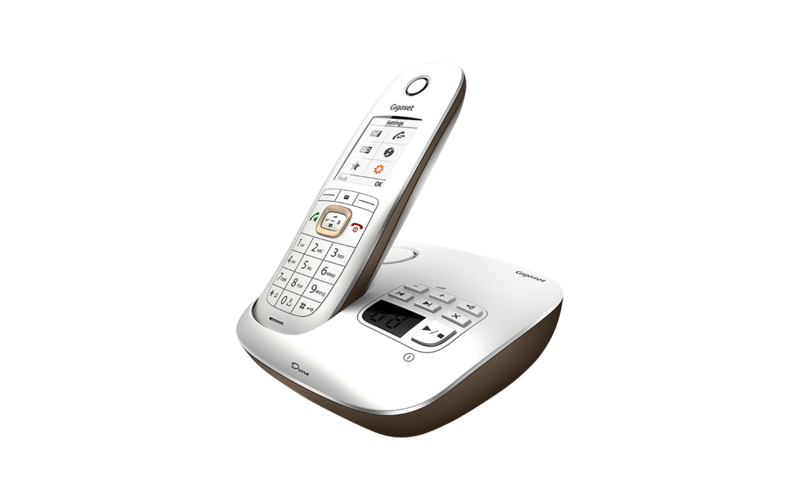 Typical for the Gigaset: a sibling model with integrated answering machine, the CL540A, is also available.